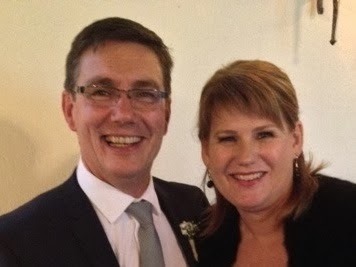 Last week’s Called to Coach featured two fantastic strengths coaches from New Zealand: Mike and Tessa Dodge. When Mike first learned about strengths, he immediately knew they could give him a language to help people become better by correcting their own misunderstandings about themselves. Tessa, on the other hand, was skeptical when she first heard about strengths. Because of her prominent Individualization strength, it seemed to her that the strengths “language” was a way of labeling people. But it didn’t take her long to change her mind. Only two months after taking the assessment, Mike and Tessa were in the United States. Mike began his path to becoming a strengths coach, and Tessa came along for the vacation. As fate would have it, Tessa needed to find relief from the Los Angeles heat and found herself in the back of a strengths coaching class. “By morning tea time,” she said, “I was StrengthsFinder’s No. 1 ambassador.” She saw firsthand how powerful strengths can be and the positive impact they can have on individuals. Within the realm of strengths, there isn’t much difference among cultures around the world. It doesn’t matter the age, gender, or location of the individual. Strengths are strengths, and anyone can have any combination of them, although each person may use his or her strengths in different ways. Groups within a culture may have similar strengths, however. For example, an IT department within a company may have a high concentration of Analytical or Strategic strengths. Success is about doing that one thing you really love, and integrating strengths into everything you do. There isn’t a person in the world who knows exactly how to juggle work, life, and family. But by finding something you enjoy doing and using your strengths while you do it, you become much closer to attaining that balance. Join us for the next Called to Coach on Friday, Nov. 1, at 1 p.m. EDT. We will feature Shane J. Lopez, Ph.D. Dr. Lopez is the world’s leading researcher on hope and author of Making Hope Happen. With over 30 years of personal-development experience, Mike and Tessa are dedicated to spreading strengths across the South Pacific. They are coachers of coaches, passing along their strengths knowledge to those who share the passion of helping others live and work with their strengths.